The Liberty Worship Collective celebrates Jesus across the globe with God-glorifying worship, servant leadership, and world-class songwriting. Less than three percent of those auditioned are selected to attend a yearlong mentoring program before leading worship with the team. Every year over 1,200 young people audition to join the Liberty Worship Collective. Of those 1,200, less than three percent will be selected to attend a yearlong mentoring program before leading worship with the team. 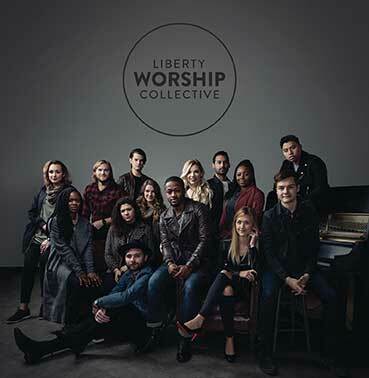 The Liberty Worship Collective features diverse group of musicians from all walks of life capable of leading not only through traditional and contemporary worship styles, but also in hip-hop, spoken word, and even American Sign Language.